The Monadnock Folklore Society, a 501-(c)(3) non-profit organization, is pleased to announce that Taylor Dupuis, age 15 of Mont Vernon, NH is the 2013 Johnny Trombly Memorial Scholarship recipient. The Johnny Trombly Memorial Scholarship fund was established in 2004 to support and encourage young musicians interested in playing piano or other instruments for traditional New England dance music, an American dance music form that includes contra-dance and square dance music. Applications are accepted January 1st through March 15th and available online on the Scholarship Application page. Taylor has been playing fiddle for 8 years, and guitar for 2 years as well as mandolin. She currently has two music students and hopes to become a music teacher and to study in Scotland. 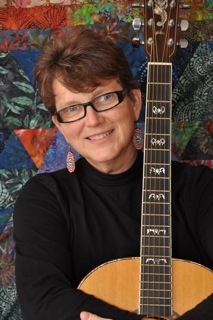 She plays in local Contra Dance bands, loves to read, plays basketball and softball but most of all she loves playing music and doesn’t like to put her fiddle down. She was instrumental in bringing live music to her high school dance class this year. 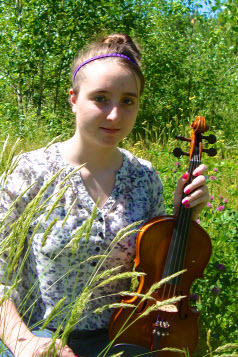 The Johnny Trombly Scholarship fund award will pay for Taylor to attend the Maine Fiddle camp in Montville, ME. Vocal Trio, Lynn Mahoney Rowan, Lauren Breunig and Will Thomas Rowan; Songs from around the world; Vocal harmonies from eastern European music to traditional American tunes to contemporary setting of pieces written by themselves and others. Includes Appalachian, Bulgarian and Georgian, Corsican, and original harmonies. Concert and CD release. 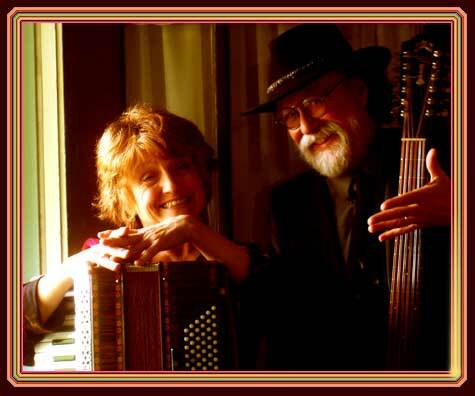 Lou and Peter Berryman are musical humorists who have delighted nationwide audiences for more than twenty years. Frequent comparisons to Tom Lehrer, Flanders and Swann, and Burns and Allen notwithstanding, these two are originals, blending Midwestern culture with intelligent observation in a whimsical and wonderfully accessible performance. They have produced twelve albums and three song books of their original and hilarious, quirky, yet oddly profound songs, and have toured the US and Canada to rave reviews. Berryman songs are being sung around the world, by a legion of professional musicians, including Peter, Paul & Mary, Peggy Seeger and Garrison Keillor, as well as shower singers everywhere. During the early years they were motivated to write new songs every week, many about the history, cheese, beer and strange politics of their home state of Wisconsin. By the mid ’80s they were traveling all across the country, still writing and singing, but now with a broader perspective, finding that the quirks of their home state were not so much Midwestern as human. In these twenty-five years of performing together, Lou and Peter have produced almost twenty albums and three songbooks worth of hilarious, quirky, yet oddly profound songs, rich with word play and interesting images. Lou and Peter have released almost twenty recordings and are working on their fourth songbook. Pete Seeger, Tom Paxton and Tom Lehrer count themselves among their fans. Their work has appeared in numerous compilations such as the popular RISE UP SINGING songbook, in periodicles like SING OUT! Magazine, and in many audio collections. 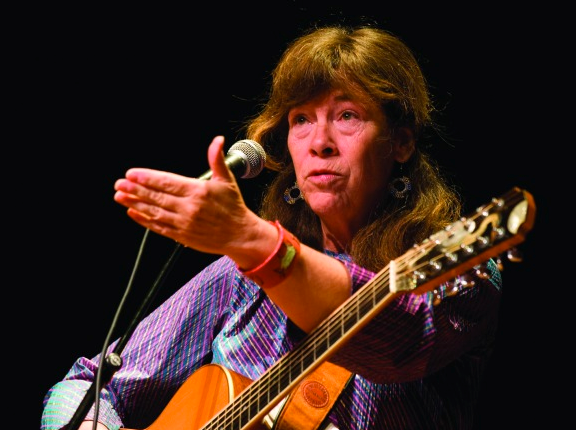 Berryman songs are being sung around the world by a legion of professional musicians including Peter, Paul and Mary, Garrison Keillor and Peggy Seeger, as well as shower singers everywhere. They have appeared numerous times on such national programs as MPR’s A Prairie Home Companion and NPR’s Weekend Edition, and tour across North America throughout the year. Lou and Peter live about a mile from each other in Madison, Wisconsin, with their respective spouses of almost thirty years, Mark Hodgson and Kristi Seifert. To make reservations, click the Buy Now button. As this is a house concert in New Hampshire in February, please bring your slippers, as we will be requesting shoes be left in the entryway.